Usually, deep vein thrombosis occurs in the lower leg regions, such as in the muscles of the calf, although occasionally, clotting can sometimes occur further up the leg in the muscles of the thigh. Whilst it is true that deep vein thrombosis can occur at any time and at any age, it is most commonly associated with long periods of travel where there is little or no movement. Such examples could include long haul flights and train or coach journeys where your movement is restricted for several hours or more. You are most likely to develop a deep vein thrombosis when remaining stationary for long periods of time. However, it is important to note that long haul travel is not the only risk factor for developing DVT, as any situation in which you are unable to move around freely for more than a few hours could also put you at risk. For example, sitting at a desk, watching TV or an illness or surgery that confines you to your bed, can all reduce the flow of blood around the body and increase the risk of it clotting. This risk can be further elevated if one suffers from a blood clotting disorder, such as thrombophilia, or if a vein becomes damaged, such as due to intravenous drug use. The reason why long periods of inactivity can increase the risk of deep vein thrombosis, is because without movement of the lower body you do not use your leg muscles. Moving your legs activates leg muscles that assist the flow of blood back to the heart. Since these are also the same muscles that are responsible for assisting blood flow back to your heart, inactivity in your leg muscles can lead to slowed blood flow in the deep veins of the leg. The first symptoms of reduced blood circulation usually manifest themselves as achy or swollen legs which feel uncomfortable, and can resemble the symptoms of restless leg syndrome (RLS). Numbness, pain and skin discoloration may also occur as blood flow continues to decrease. If blood circulation does not improve through activity of the leg muscles, then a blood clot may eventually develop. Deep vein thrombosis is generally not fatal, as most thrombi which form in the deep veins eventually dissolve by themselves without causing any noticeable symptoms. If, however, a blood clot does not dissolve and is able to severely restrict or impair the flow of blood through a vein, it may then cause long-term localized swelling, pain and eventually discoloration of the leg. 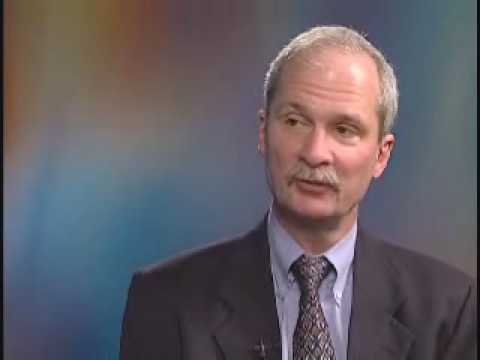 At this point, it is crucial that a person seeks out medical assistance, because if left untreated, their DVT has around a 10% chance of causing more serious complications, one of which, is death. 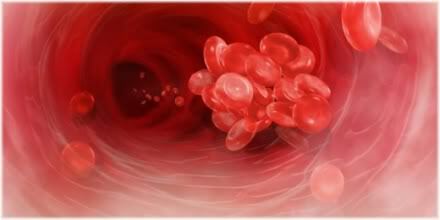 As blood cells begin to clump together they form a clot (thrombosis) on the blood vessel wall. Death can occur if a part of this clot breaks off (embolus) and blocks the arteries supplying the lungs with blood (pulmonary embolism). The most common cause of death resulting from a deep vein thrombosis is a pulmonary embolism. A pulmonary embolus occurs when a blood clot, such as from one of the deep veins of the leg, becomes dislodged from the inner wall of the vein and is able to travel, via the bloodstream, up towards the heart. Once it passes through the chambers of the heart it may then become lodged in the main artery feeding the lung, where it could then result in sudden death. If this clot were to pass up to the brain, it could result in a stroke. 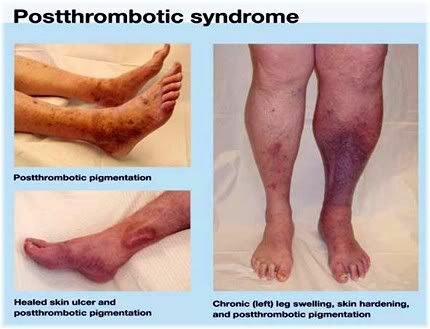 Postthrombotic syndrome can result in abnormal pigmentation of the skin, persistent redness and swelling, and skin ulcers. It occurs after suffering from DVT as a result of damage to the venous valves and the subsequent increased blood pressure that ensues. Another complication of a DVT is post-thrombotic syndrome. This can result in long-term swelling and discomfort of the legs, causing restless leg syndrome like symptoms that may make it difficult for a person to fall asleep at night possibly resulting in chronic insomnia. Although deep vein thrombosis is commonly associated with travelling, there are in fact many other factors which may increase ones risk of thrombosis. Genetics can increase one’s risk of DVT. Genetics may make you more susceptible to developing blood clots. So if someone in your family has experienced blood clotting disorders in the past, you should take extra precautions against deep vein thrombosis. 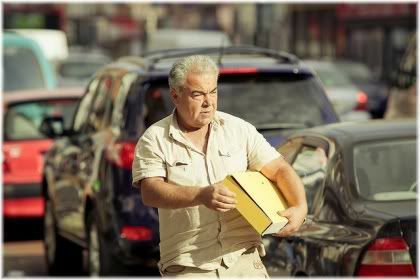 Obesity impairs the flow of blood around the body. 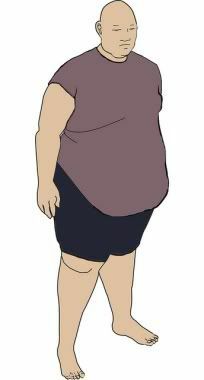 Obese people tend to be less physically active, eat fatty and sugary foods and have overall poorer circulation of the blood. In addition, when in a seated position, the extra body weight carried by an obese person can increase the compression of the back of the upper thighs, thereby constricting blood flow and hindering its return to the heart. Such factors put obese people at a high risk of developing a deep vein thrombus. 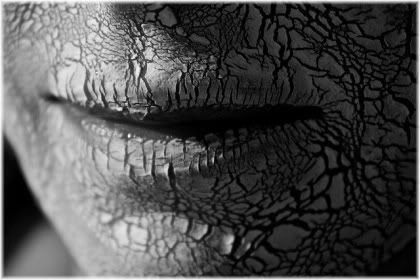 When the body is dehydrated the blood can start to thicken. Dehydration can cause the blood to thicken, develop clots more easily and impair its flow throughout the body. Certain beverages, such as alcoholic drinks, can dehydrate the body of water. You should therefore be careful of consuming such beverages when you know that you will be travelling for a long period of time. It was previously thought that tea and coffee also had the same effect (i.e., were diuretics), although recent studies have found that caffeine containing beverages do not dehydrate the body when consumed in moderation. 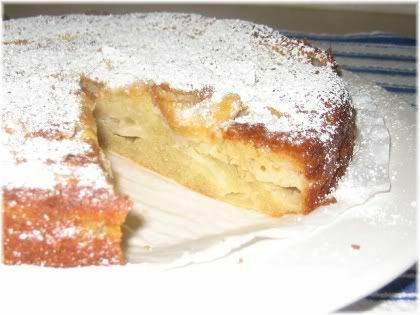 Sugary foods thicken the blood. Sugary foods thickens the blood. This increases the risk of blood clots occurring when a person is inactive for long periods. With some types of surgery you have a 50% chance of developing a DVT during your recovery period. 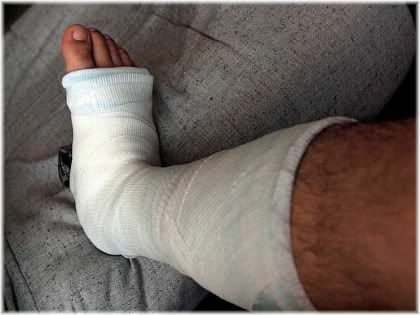 If you have recently had surgery to your leg, or broken your leg and it is now in plaster, the reduced muscle activity in that leg may adversely affect your blood circulation. In addition, surgery itself may also pose a risk, as damage to the lining of the vein wall can result in an inflammatory response that increases the risk of blood clotting. Hip surgery, for example, has about a 50% risk of a person developing a DVT as a result of that surgery. Hospital related deep vein thrombosis is a serious issue for all long stay patients. Any illness which restricts your movement, or confines you to a bed, may put you in a high risk category of forming a blood clot. 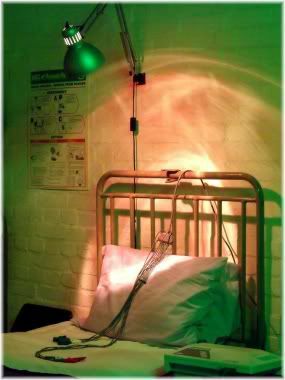 Hospital related deep vein thrombosis can pose a very serious threat to patients, and must therefore be carefully monitored by hospital staff in long stay residents. Nursing staff can reduce the risk of hospital related DVT with subcutaneous heparin injections, anti-thrombotic stockings and mobilization activities. Inactivity makes it harder for blood to circulate around the body. People who tend to be less physically active generally have poorer circulation than those who exercise regularly. This puts them at an elevated risk of suffering from circulatory disorders. In fact, there have been several cases where people have died playing computer games or watching TV for several days in a row with little or no movement. Due to their inactivity, a blood clot was allowed to form which later became dislodged when the individual stood up. Death occurred via a pulmonary embolism. 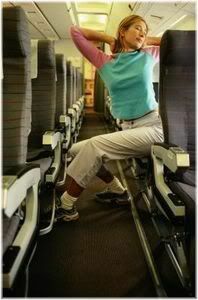 When remaining seated for long periods the weight of the body constricts blood circulation in the thighs. 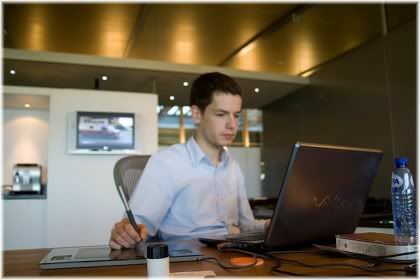 Any job that involves sitting down or standing up for long periods can negatively impact blood circulation due to a lack of muscle movement. This is most likely to apply to office workers or nurses who spend most of their day in a stationary position. Those with cardiovascular diseases face an elevated risk of DVT. 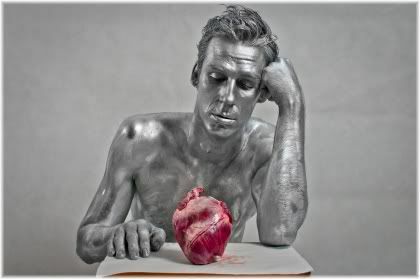 With cardiovascular disease comes poor circulation and a narrowing of the arteries (atherosclerosis). This, combined with long periods of inactivity, may significantly increase your risk of developing a deep vein thrombosis. 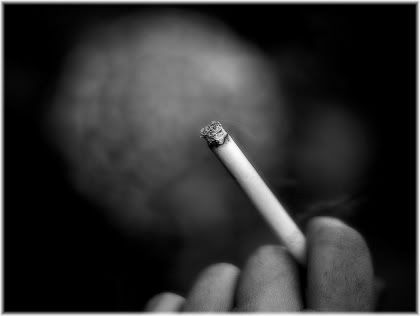 Smoking makes it more likely for the blood to develop clots. Smoking thickens the blood and increases the risk of it clotting. This effect is made worse when a person is also physically inactive and eats sugary or carbohydrate rich foods. Older adults are generally more susceptible to DVT than younger adults. Adults over 40 years of age are generally considered to be at greater risk of developing a deep vein thrombosis. Although, DVT can still occur even in very young individuals if they remain inactive for long periods. Certain medical conditions make it more likely for the blood to clot. 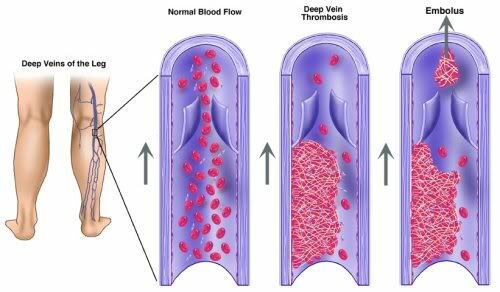 Although dietary and lifestyle factors can increase clotting of the blood, certain medical conditions such as thrombophilia (i.e., increased risk of blood clotting) can make a person naturally more susceptible to developing deep vein thrombosis. 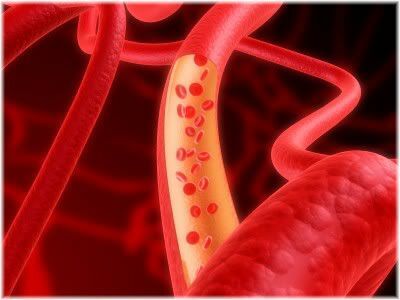 Changes to blood vessel shape can increase one’s risk of DVT. 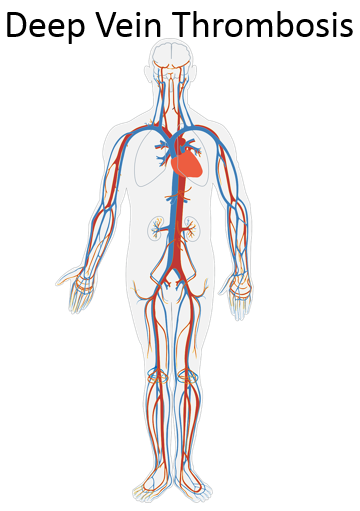 Changes to blood vessel shape, such as due to tight compression of limbs when seated, tight clothing, or cardiovascular disease, can all impair the ability of blood to circulate throughout the body and thus increase the risk of thrombosis. For the vast majority of people, the only time that you will have to worry about developing a deep vein thrombosis is when you are travelling and will be immobile for more than 2-3 hours. This could include journeys such as flying abroad, travelling on a train across the country, going on a boating expedition, a long bus ride or even just taking a trip riding in your car for several hours. 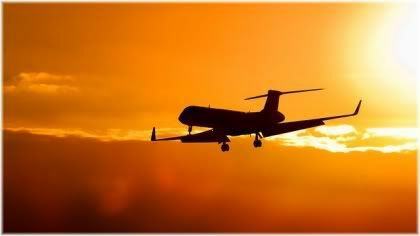 Most cases of DVT occur after long-haul flights. The important thing to note is that you will experience an elevated risk anytime that your movement is severely restricted, so the single best thing you can do is to move around whenever possible. For example, if you know that you are going to be seated throughout much of the day, then try to get up and walk around for a few minutes every one or two hours. This will help to get your leg muscles active, which will subsequently benefit your overall blood circulation and reduce the risk of clots forming. Blood flow throughout the body can be improved by moving whenever you can, no matter how limited that movement may be. To further boost blood circulation, try lifting your knees up to your chest or squatting down. These two movements are excellent at activating the muscles in your legs, and can be a very effective way to boost circulation if time is limited. Alternatively, walking up and down some stairs is just as effective and far less embarrassing if someone is watching you! Whilst you may be able to get up and walk around if you have a break or rest during your journey, there will be times when you will have to remain seated for long periods and be unable to leave your current location. You can still exercise your legs even when you can’t move from your current location. In this type of scenario, the best thing that you can do is to practice some simple leg exercises. Although these exercises will not be as effective as physically getting up and walking around, they can still be very useful in helping to prevent clots from occurring in your veins. • Start by squeezing and relaxing your toes. Do this at least 20 times. • Next, move on to your feet. Press each foot forward as if you were pushing a car pedal. Do this 20 times. Push the foot forward as though you were pressing a pedal whilst simultaneously rotating your ankle. 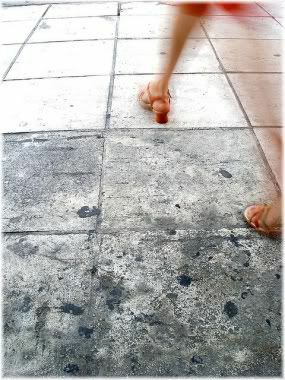 • With your feet flat on the floor, raise your heels so that your knees are lifted by your feet. Do this 20 times. 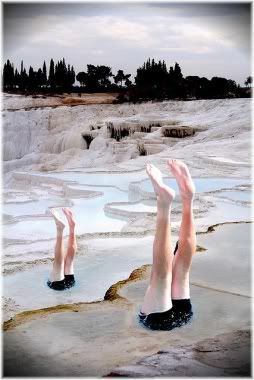 • Next, extend your foot out in front of you, even if you are unable to fully extend your leg. With your leg extended, swing it back and forth in a kicking motion 20 times. Repeat this with the other leg. Extend your legs back and forth in a kicking motion. • Now lift your foot up off the floor slightly and move your foot around in a clockwise circular motion 10 times, and then in an anti-clockwise circular motion for another 10 times. Repeat with your other foot. • Finish these leg exercises by tensing the muscles in your calf and thigh as tightly as possible for a count of 5 seconds and then relaxing. Repeat this tensing and relaxing exercise for another 5 repetitions. The leg exercises that have just been described are specifically designed to stimulate your muscles in a confined setting where traditional movements are not possible. This will encourage better blood circulation around the body by assisting in the return of venous blood back to the heart. 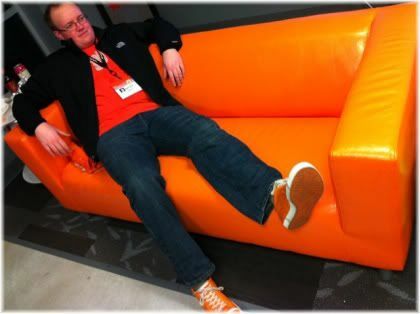 Note: When sitting down for long periods it is better to sit with your legs uncrossed, as crossed legs can restrict the flow of blood both down and up the legs. What if you can’t move at all? If you are driving a car, or operating machinery that prevents you from doing the leg exercises, then the first and most valuable precaution that you can take is to ensure that you are getting a regular break at least every 2-3 hours. During this time you should walk as much as possible, although if time is limited, you can do some quick leg exercises to get your circulation going. When it’s impossible for you to do any stationary exercises, make the most of the time when you are able to move freely by walking around. One of the most effective exercises that you can do are standing squats. These can be done simply by extending your arms out in front of you, and then squatting backwards as though you were sitting on an imaginary chair before standing up straight again. After 10 repetitions your heart rate will have increased, and will also be able to feel the blood pumping through the muscles of your legs. If you still have time, try kicking your legs out in front of you and then raising them up towards your chest. As thicker blood has an increased likelihood of clotting, you can significantly reduce your risk of thrombosis by taking drugs or supplements that are known to thin the blood before you travel. 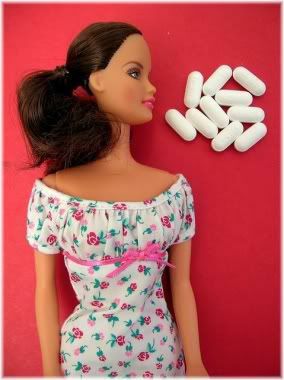 Aspirin, for example, is an effective non-prescription drug that will thin your blood. Simply take ½ an aspirin each day, several days before your journey. But be sure to speak with your doctor to ask if it’s safe for you to be taking aspirin, and to check that it won’t affect any other medication you may be taking. It is important to note though, that aspirin is not a proven treatment for deep vein thrombosis. 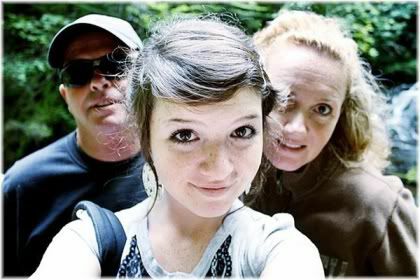 There is evidence to suggest that it may be worth taking, and evidence to suggest that it offers little benefit. Although aspirin is well-known to thin the blood, it’s not yet proven to prevent DVT. What is known, is that aspirin is more effective at preventing clotting from occurring in arteries than it is in veins. So if aspirin does offer benefits for DVT, its benefits may be somewhat limited. For those who are at a high risk of developing deep vein thrombosis, such as because they have a family history of clotting disorders or have had DVT in the past, heparin injections, a type of anticoagulant, may be worth considering before you set out to travel. This, however, is something that you should discuss with your physician. Some vitamin supplements which can be used to thin your blood include ginkgo biloba, ginger, garlic, omega-3 fish oils, vitamin K2 and vitamin E.
Try to avoid eating junk foods before long periods of inactivity. Before setting out on a long distance journey, try to avoid eating a large fatty meal, drinking sugary soft drinks such as coca-cola, eating sugary snacks such as donuts or chocolate bars and avoiding smoking cigarettes. Doing any of these things can increase the risk of your blood clotting, especially when they are done before travelling. Avoid wearing tight clothing when you know that you will be unable to move around freely. Tight clothing, especially on the legs, can make it harder for blood to flow around the body. When going travelling it’s a good idea to avoid tight clothing and opt for something more casual instead, such as running pants or shorts. 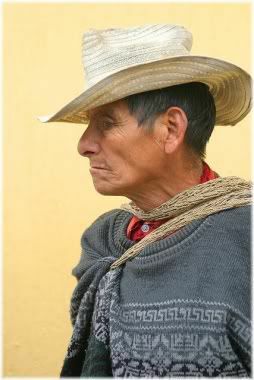 Wearing loose clothing is especially important if you are travelling at high altitudes, such as on a plane. This is because the pressure at high altitudes can cause your body to expand slightly, so wearing loose clothing will prevent you from restricting your blood circulation. However, there is one exception to this; graduated travel compression socks that exert a mild pressure on the legs, as studies have shown compression socks to be effective in reducing the risk of deep vein thrombosis. Travel compression socks, also known as compression socks, travel socks, DVT socks, DVT stockings, deep vein thrombosis socks and flight socks, are specifically designed to be worn by travellers during long journeys to reduce the incidence of deep vein thrombosis. Travel socks are designed to support the blood and lymphatic systems of the legs. They do this by using a gradual compression mechanism, whereby the greatest compression is exerted at the ankles and the least pressure at the top of the leg near the knee. 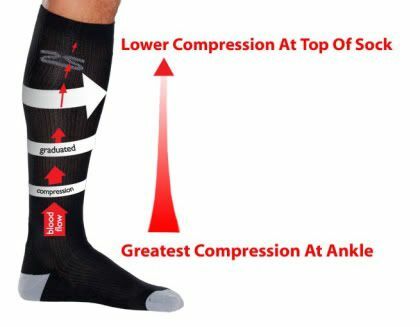 Compression socks apply the most pressure at the ankle and the least pressure at the base of the knee. This helps to improve blood circulation throughout the legs, and so assists in its return back to the heart. Compression socks can therefore be very useful in preventing deep vein thrombosis during long periods of inactivity. In addition, compression socks can also be used to prevent tired, aching and swollen legs due to physical inactivity. There are two main types of travel compression socks that can be purchased. The first are knee-length, and the second are above ankle length. For most people, ankle length travel socks will be more comfortable to wear than knee-length travel socks. 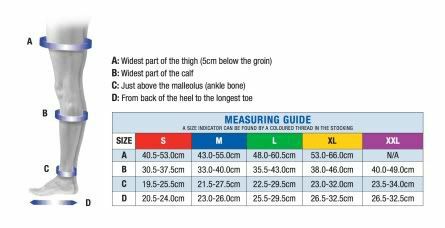 It is also possible to purchase thigh length compression socks, although these have not been shown to be more effective than knee or ankle length socks. Above ankle length compression socks. Ultimately, what you choose to wear comes down to personal preference, as both the knee and ankle length styles are equally as effective at reducing the risk of deep vein thrombosis. One thing that you do want to pay particular attention to though, is getting a pair of flight socks that fit you correctly. If your compression socks are too tight they will not only be uncomfortable to wear, but could actually be counter productive as they will make it more difficult for venous blood to flow back up the leg and cause it to pool around the knee. Compression socks are naturally thicker than most standard socks, and so your shoes or trainers may feel tighter whilst wearing them. Due to the thicker material used, you should ensure that your regular footwear doesn’t feel too tight when wearing compression socks. 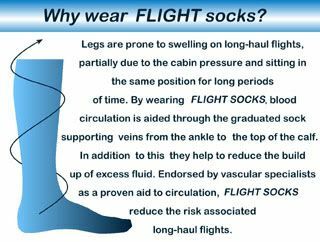 If your footwear are already very tight-fitting, then wearing them with flight socks is probably not a good idea as doing so will likely have an adverse effect on the ability of your blood to circulate freely. For this reason, it is recommended that you wear your compression socks for several days before you travel. This will allow them to stretch out slightly, whilst also giving you some time to experiment with different shoes. 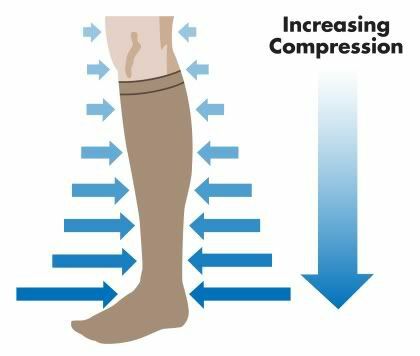 When purchasing travel compression socks always ensure that the pressure they exert is rated at above 13 mm Hg, as flight socks are only effective at reducing the risk of deep vein thrombosis above this level of ankle pressure. Look for a pressure rating of 14 mm Hg or above when choosing flight socks to ensure your socks provide the benefit of reduced DVT risk. Although compression socks can be rated at over 50 mm Hg, for anything above 20 mm Hg, it is best to speak with your doctor first before using them. The effectiveness of travel compression socks was shown in a 2001 study where two groups of airline passengers were compared. One group wore travel compression socks for their journey, and the other did not. The study found that there were no cases of deep vein thrombosis in the group wearing the travel compression socks, but 10% of the group who did not wear travel compression socks experienced DVT. Travel socks are now routinely recommended for people who are travelling for long periods of time and are unable to move about freely. In addition, compression socks may also be recommended for people who stay seated for several hours at a time, or are on their feet for the majority of the day such as nurses. Should You Buy Travel Compression Socks? For the average person, the risk of developing deep vein thrombosis is relatively small and certainly not something that you should be overly concerned about. However, blood clots can happen, especially if you are inactive for very long periods or have a predisposition to developing clots. So this is not something that should necessarily be ignored. If you travel often, investing in a pair of compression socks is probably a good idea considering the benefit you get and the low cost involved. Whilst travel compression socks are not needed by everyone, they do provide a low-cost preventative measure that could significantly reduce your risk of developing deep vein blood clots. So if you do travel a lot and feel that you are at risk of DVT, or simply want to take preventative measures against it, then you may want to consider getting yourself a pair of compression socks the next time you go travelling.